Problem Solving is an art which is very difficult to learn. Some possess this ability instinctively while others struggle really hard. Well, Physics is indeed one of the toughest subjects of JEE and is also among the most hated subjects. This article will specially prove beneficial for all those who struggle really hard at Physics. 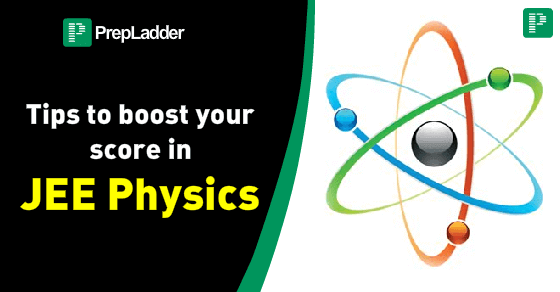 This article will bring forth effective tips which would immensely help you to boost your score in Physics. You must first gather awareness of some basic tools prior to commencing your preparation. Strengthen your tools such as Differentiation, Integration, Basic Trigonometry, Graphs and Vectors at the beginning. After attaining a thorough grip over these topics, then advance onto the next part. Next, you must focus on learning and understanding the concepts. Do not rush to problem solving without attaining a thorough understanding of the concepts. Figure out whether you are able to apply the correct concept to the different problems. Remember, problem solving is an art which can only be mastered through relentless practice and dedication. You cannot learn problem solving overnight. Also, it is indispensable to practice in the right direction. Avoid repeatedly solving similar type of questions. You must get yourself exposed to different varieties of problems. Coming across different types of problems would help you to progress gradually. Try to learn something new with every 3 problems you solve. You must prepare a formulas sheet which will greatly facilitate faster revision. You must revise the formulas from the sheet prior to sitting for problem solving sessions. You must only refer to the material which is oriented with the exam pattern. Revision is absolutely essential for longer retention of information. Revise all the important concepts, formulas, shortcuts and tricks. In your first attempt, mark the questions in which you encountered a problem. Pay more emphasis to these questions in revision. You need not revise the entire book again. Recall only the important concepts and points of each unit. In case the answers contain expressions, you must analyze the units of all the options prior to solving the question. You will be able to eliminate a few options by this technique. We are sure that Implementing the above-listed tips would surely help you to score more marks in Physics in JEE and NEET.